We are recognized as an eminent manufacturer and supplier of a wide array of Centrifugal Pumps such as Industrial Chemical Process Pumps. Our all pressure pumps are available in different size specifications and surface finishing so as to fulfil the varied requirements of manufacturing and supply sectors. We have constituted a team of arduous professionals, who make industrial pumps as per the industry set quality norms. Our chemical process pumps are widely applauded for the features like high efficiency rate, elegant look, low power consumption and easy to install. 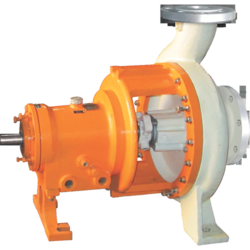 We are recognized as an eminent manufacturer and supplier of a wide array of Centrifugal Pumps such as Chemical Process Pumps. Our all pressure pumps are available in different size specifications and surface finishing so as to fulfill the varied requirements of manufacturing and supply sectors. We have constituted a team of arduous professionals, who make industrial pumps as per the industry set quality norms. Our chemical process pumps are widely applauded for the features like high efficiency rate, elegant look, low power consumption and easy to install. 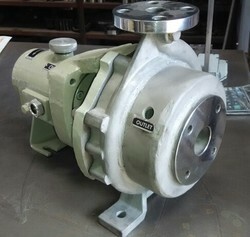 We are the suppliers of Chemical Pumps. Looking for Chemical Process Pumps ?